Anyone else go to a coffeeshop where they write AMOO on the cup to denote almond milk? Ha. Makes me giggle every time! I spent a long weekend visiting my brother, sister-in-law and nephew on Vancouver Island recently. They live in such a beautiful place! And my nephew is such a cutie! He was 10 months old at the time. He’s crawling and getting into everything, but it’s fun to play with him and watch him figuring out the world around him. 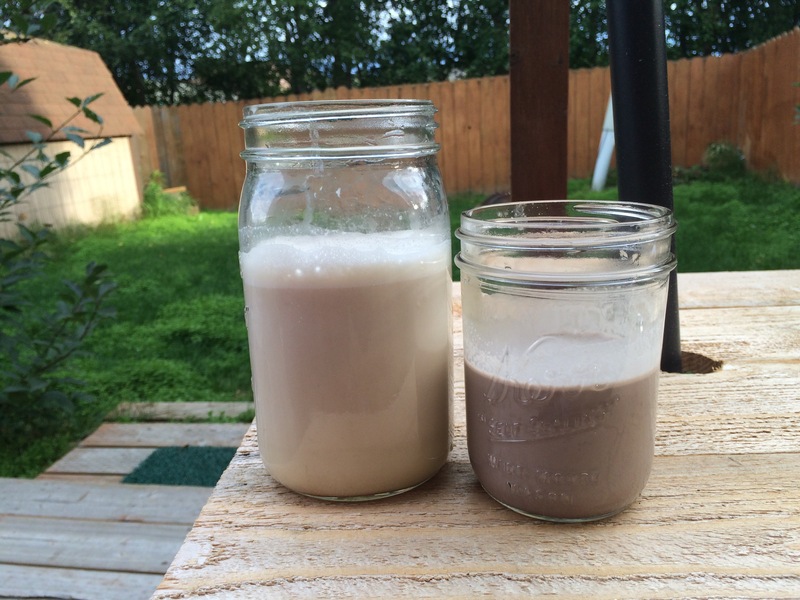 My sister-in-law, Leanne, made homemade almond milk while I was there. Sometimes when you watch someone doing something it looks easy than it is… But this is just about that easy! Leanne introduced me to Oh She Glows by a) mentioning recipes that sound delicious (i.e. Yam Enchiladas) and b) actually cooking them when I visit! 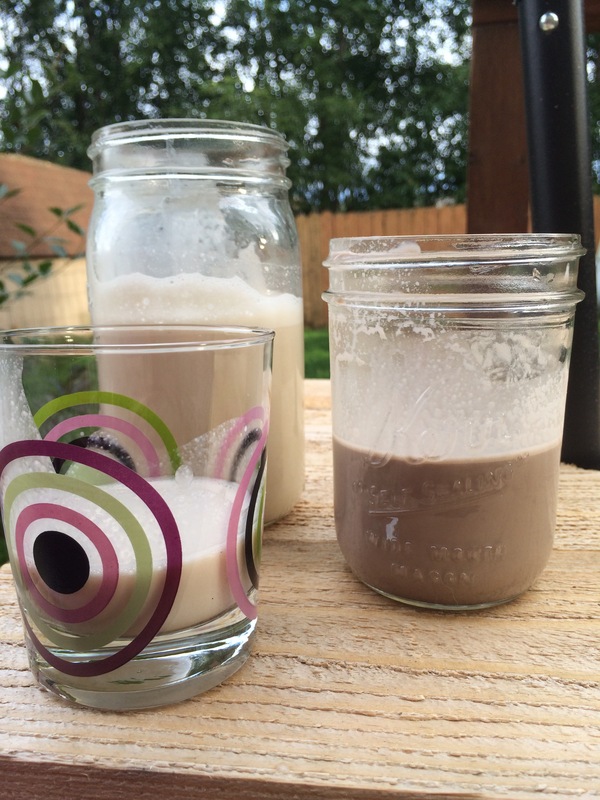 Anyway, the almond milk recipe is another from Oh She Glows. And Leanne even sent me home with a mesh bag– it’s not a nut milk bag– that’s slightly stretchy and has nice, strong seams.